Sponsored and Hosted by Crossville Inc.
Tile—it’s functional art for our homes. Today, tile is more versatile and beautiful than ever thanks to advancing manufacturing technology and global design influences. There are so many styles, colors, sizes, shapes, and patterns to choose from for our interior spaces. Tile’s visual appeal and performance capabilities really shine in kitchens and baths, making it a staple surfacing choice for homeowners and design professionals alike. The annual Coverings Expo is North America’s largest exposition for the tile and stone industry. Hundreds of exhibitors from across the globe converge to display miles of tiles to tens of thousands of show attendees who are excited to experience the latest and greatest. To keep you at the forefront of new products and all that’s happening in tile industry, we’re once again hosting our weekly #KBTribeChat from the Crossville, Inc. booth on Coverings show floor. If you’ll be in Orlando for the show, please join us in person to tweet up with friends at booth 2600. If you can’t attend the show, join us online for the chat and discover what’s new and inspiring in the world of tile! For everyone who’s part of this tile-focused chat, get your photos ready! 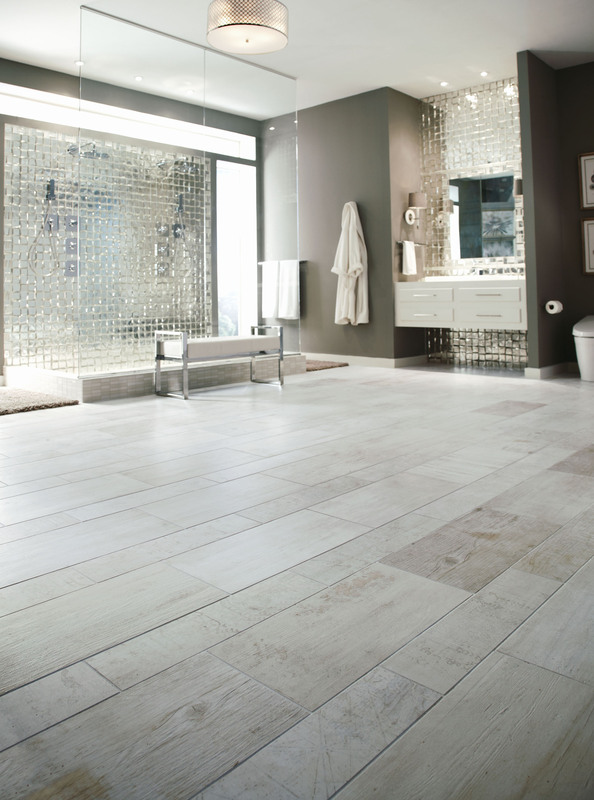 We want to see your tile designs during this special conversation for our industry! Q2: Any innovations compelling you to spec more tile? Q3: Where do you find tile inspiration? Q4: Share how you choose/work with installers. Q5: What are your priorities when spec’ing tile? You can find the transcript for this KBtribechat here. Once again, tile is bringing the tribe together! Join us at our next #kbtribechat as we look at the latest tile trends—with special attention to the priorities and perspectives of those of us who actually specify or guide clients’ decisions about tile. There’s no denying that tile is a premiere way to cover surfaces and accessorize spaces. Now more than ever, we have seemingly endless options in porcelain, stone, glass, metal, large format and mosaic collections. Amidst all the options, what actually makes it into our projects? What tile styles are our peers working with out? What would we like our clients to be more open to? What are the tile trends should we know about? Live from Coverings—the ultimate tile and stone trade show in the U.S., we’ll gather with our tribe to talk about tile to give pros like you leading edge insights. Here’s our list of questions for discussion. 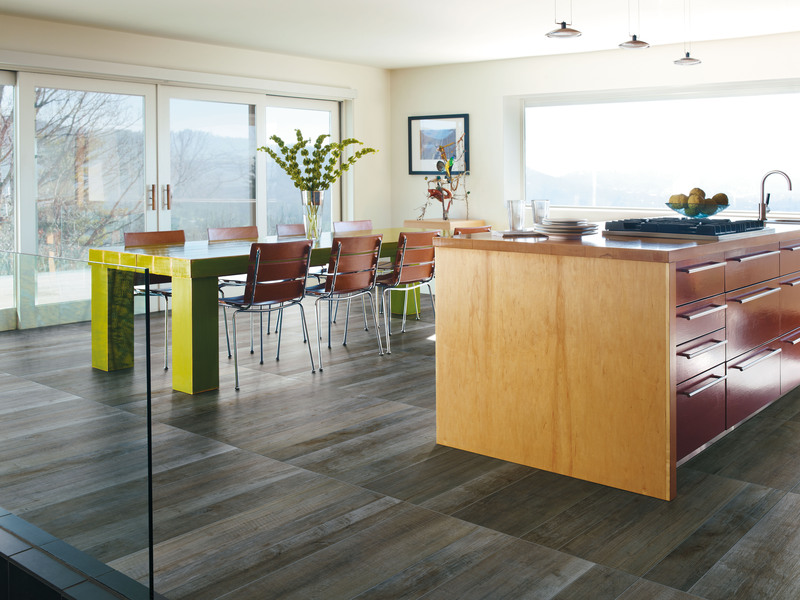 Q2: What tile styles are tops for kitchens? Share images! Q3: What tile styles are best for baths? Show us your pix! Q4: Have you increased your tile usage in the last year? Q5: Do shows like Coverings influence your specifications? For the second year running, our Coverings chat will be sponsored and hosted by domestic tile manufacturer Crossville, Inc, maker of beautiful, environmentally friendly porcelain, stone, glass and mosaic tile collections. We’ll convene in the Crossville booth—# 11055—at our standing chat time: Wednesday, April 30th at 11 a.m. P.T./2 p.m. ET. Make plans to join us from wherever in the world you’ll be for a great time indulging in tile talk. We have a group Pinterest Board for this KBtribechat. Let us know if you’d like an invite! Here is the transcript for this KBtribechat.